Recently I came across this news clip and it made me think about the career path of a police officer. I know I mention excitement and danger on this blog, but in reality this is what makes the job of a police officer so unique. Yes, this sort of call is very rare and may be the only call in the history of police work where opening a jar was involved, but it's important to put this in perspective. This may have been an elderly person who has no one in the world to help her with this unique problem and remembered that police are here to HELP. 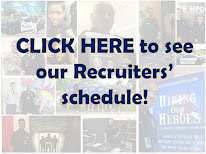 By choosing a career in law enforcement you must know that every shift is different and not your typical day at work. From foot chases, to car chases, to...opening a jar, it's all in a days work. I promise you this, you will not be bored at work...ever. Like someone once said, "It's the greatest show on earth and you have a front row seat!" We will begin accepting applications soon. Keep an eye on this blog, website ,Twitter or Facebook and start getting prepared now. You will not need to open jars during the application process, but you should be prepared to do so just in case you are needed one day by someone who needs your help. That is a great post Mike. I like this story. great post. 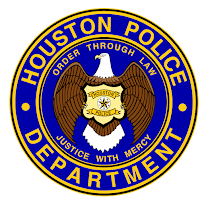 Im glad I will be a part of HPD! Class of 213!